Today's discussion is sponsored by Mode Media, all opinions are my own. Everyone loves the weekend. There's just something about lounging around on Saturday mornings or heading off to brunch at a friend's house after attending services on Sunday morning. While most weekends are full of good times, those good times often involve good food - right? 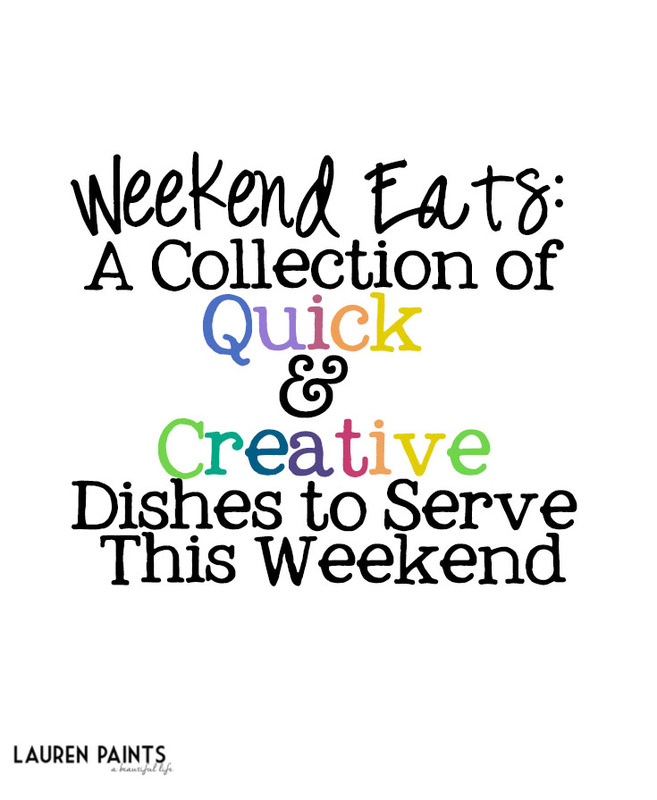 Today I want to share a collection of weekend eats - quick and creative dishes that will wow your family and friends this weekend while keeping you from spending the whole weekend in the kitchen. Ranging from healthy and super easy dishes to indulgent (yet still super easy) treats - my Weekend Eats Collection is sure to leave you with a menu that will be out of this world on Saturday and Sunday and leftovers that will leave your belly feeling full all through the week! What's your favorite meal to make on the weekend? Do you spend more or less time in the kitchen on Saturday and Sunday? I'd love to hear about your typical weekend meals!